It does not matter how large your digital footprint is now, your company will eventually establish a large amount of data. From spreadsheets to all the content your website has generated, you need to have a solid form of backup for your computer network. However, with so many different backup options out there, which one do you go with? Do you go with a cloud storage system, a tape backup plan or maybe a hybrid? While the choice is ultimately yours, there are definitely pros and cons associated with each. 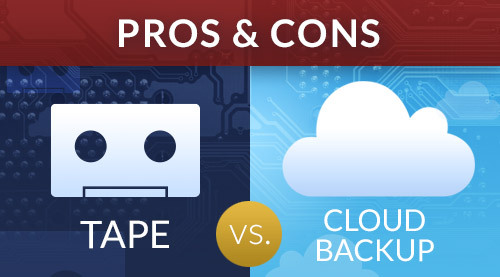 Read more to learn about the Pros and Cons of Tape vs Cloud Backup. Tape backup options have been around for years. In fact, this is one of the oldest default backup plans in the office today. While the amount of data storage available through tape has increased, the basic process hasn't. Essentially, it works in a similar manner to VHS videotape. The information is imported onto the tape, which is able to store this information for years to come. The information can be removed, altered and changed, just like a traditional hard drive. However, unlike a traditional hard drive, it is not going to run hot, nor does it run into the same potential problems of the drive breaking down and dying on you. With the tape backup option, your information is stored locally. This makes it easy to access, should your network crash or a current computer hard drive fail on you. It is there instantly and you can set it up so everything is automatically backed up to the tape drive. On the flip side, there is a limited amount of space on a tape drive. Once the drive is full, you need to buy additional tapes. Furthermore, locating information on the tape drive can take some time. It doesn't work as fast as a solid state drive, and while it is not slow by any means, it isn't instantaneous. The individual in need of the information stored on the tape drive also needs to be physically present inside of the office to obtain it. You also need to make sure to maintain the tape drive and tapes, because just like a videotape, they can deteriorate without proper care and climate conditions. Cloud storage allows you to access information anywhere in the world from your cloud account as long as you have an Internet connection. This is the true advantage of cloud storage. If you travel a good amount for work, or if you like to work from home (or other employees work from home), cloud storage is a great way to go about it. The speed is desirable, as long as there is a strong Internet connection. Essentially, everything hinges on the strength of your Wi-Fi. Now, there are some downsides to cloud storage. Over time, this can become especially expensive. Some services charge by the number of users accessing your account while others charge by the amount of data. Over a few years time, you'll most likely reach into the terabyte range of data, which can become expensive. 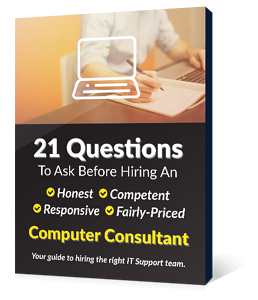 Additionally, the cloud service provider typically compresses everything stored on its server, which means it can take some time before the files are available for use off of the cloud. Should something happen soon after upload, you'll be out of luck until the files have finished compressing (which can take days). 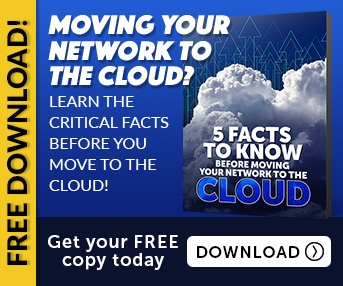 You are better off using a combination of both tape and cloud bandwidth. This is called a hybrid backup solution, and it would allow you to have your most frequently accessed files stored on tape drives while basic information is always available through the cloud. What is stored locally can be customized to your business needs by your information technology professional.